Anagram Technologies is constantly creating partnerships with established organizations to further extend the availability of its Copy2Contact Technology, making people's desktops and mobile devices more efficient. Go on to read more details on integrating Copy2Contact Technology. To inquire about becoming an Anagram Technologies partner, please contact us. LinkedIn has licensed Copy2Contact Technology for use in their Microsoft Outlook toolbar. LinkedIn users can capture new contacts while working in Outlook with the toolbar's "Grab" feature, powered by Copy2Contact. Gist has licensed Copy2Contact Technology via the Copy2Contact API for use in their award winning social information aggregator. Gist now automatically parses complete contact details from incoming emails thanks to Copy2Contact. Jibber Jobber has licensed Copy2Contact Technology via the Copy2Contact Web Widget for use directly inside their online career toolset. 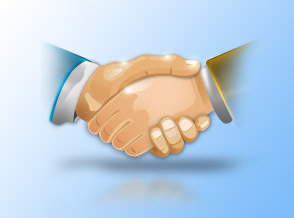 JibberJobber users can easily add new contacts without retyping, directly on the web and without client software. Iambic has licensed Copy2Contact Technology for use in their powerful and feature-rich Agendus™ for Windows Personal Information Manager software. Iambic wants Agendus™ users to have the most productive and efficient desktop environment possible. Copy2Contact has been seamlessly integrated with the award-winning Salesforce.com CRM platform and is fully-certified by Salesforce as an integrated solution. Copy2Contact has been fully integrated with the established NetSuite ERP/CRM platform as the fastest and most efficient way to capture new leads, contacts, and appointments. Jigsaw has adopted Copy2Contact as the fastest and most efficient way to get new contacts into their innovative contact marketplace. All Jigsaw users can use Copy2Contact as part of their Jigsaw member benefits.